A person of informed and discriminating taste: a connoisseur of fine wines. 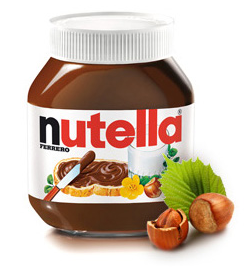 Once upon a time I dated a french man (FM) who loved Nutella. Unfortunately, I did not have Nutella at my place because I was never a fan of it. So we went to the grocery store to purchase a jar of his much loved spread and promptly went home so that he can have it for breakfast. FM excitedly opens the jar and dips his spoon in to have a taste. He suddenly turns to me and asks “What the $%^& is this?” with a disgusted scowl on his face. He puts it down while continuing to gag and claims that what he ate was not “real” Nutella. As I mentioned before I am not a big fan of Nutella, never ate much of it and I’ve never tasted the “real” thing so I could not relate to what he was saying. He never touched Nutella in Canada again. I think he was traumatized. Fast forward a few months later we were in Paris. At breakfast at his sister’s house he shows me a glass jar version of the nutty chocolate spread and proudly claims that he finally was eating the ”real” thing. I was skeptical and determined not to be converted because I grew up not being fan of Nutella. I just was not into the bland nutty aftertaste. So I dipped a spoon in to give it a try and OMG. Can I just say OMG? I had a chocolate spread epiphany. OMG it was THAT good. What have I been eating back home? The Nutella in France was chocolatey smooth with just a very subtle hint of nuttiness. It was soooo delicious that I became a Nutella convert. Me. A person who would not touch Nutella back home while her siblings devoured it like it was candy. We ended up packing a few jars to bring back to Toronto and I excitedly went on a Nutella crusade like an enlightened apostle letting people know that we are being shortchanged in Canada. To anyone who is interested, FM advises to look for Nutella in a glass jar, not plastic and it has to say imported on the bottle. I could not believe that I was missing out and will never look at Nutella the same way again. 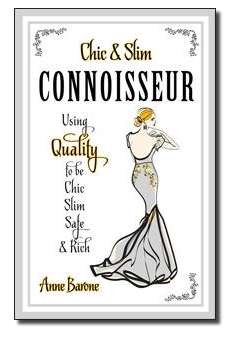 So the reason why I shared my Nutella story is because I finished reading Anne Barone’s Chic & Slim Connoisseur: Using Quality to be Chic Slim Safe & Rich. It is a good short read that basically advises to seek out the very best in what you do and what you have in life. In short, live a life of quality. It stresses on really thinking about how your are living your life and to make changes that will contribute to one’s overall happiness and well-being. More importantly, how our actions as individuals by the choices that we make affect other people in the world. For example instead of saving up for a beautiful item of clothing that is locally and ethically produced we often go for cheaper, quick fix options that sit in our closets taking up space. What Anne writes in her book is not new and ground breaking. Most of us are aware that we live in a very complex and often unfair society. To remedy that we have to make choices that will be for our betterment and for the long-term well being of this world. This can be done by striving to be connoisseurs in our everyday lives. This means always seeking out quality in everything. From our food, conversations, relationships, and other daily decisions. Try it today. Ask yourself what small steps you can take to improve quality in your daily life. It could be going to bed an hour early so that you get better rest or really thinking about what you say before talking instead of gibbering mindlessly or choosing to buy an organic fruit in place of the conventionally grown options or it could be as simple as taking the time to notice the birds and flowers on your way to work. Start small and work your way up and I promise that your life will improve for the better. As for this connoisseur, I’ve never looked back after the Nutella revelation. I only seek out and choose to eat the “real” Nutella for the best Nutella experience. We all lead very hectic lives and I think that every now and then it is important to step back and re-evaluate how we can elevate the quality of how we live and make things easier. From the way we dress, to what we eat, how we view ourselves etc., etc. I know that it may seem like a cliche but I strongly believe that the world would be a better place if people made conscious decisions in every aspect of their lives. To make changes to better yourself, having the desire to make the change is most important followed by determination and discipline. Once all 3 elements are there implementing and maintaining the desired change will come to fruition. Here are some tips that I try apply to my own life. I haven’t perfected every aspect yet but it is a work in progress and I am slowly seeing results. I am a big clutter bug and I like to hang on to every thing so this was really challenging. I make an effort not to buy anything unless I have a real use for it. To keep things neat around the house I go around organizing sections here and there. My biggest vice is paper clutter (receipts, mail etc.) so I have a small basket where I dump everything and once a week I go into the basket and clean out the contents. With cleaning the house, what works for me is to clean a little every day. That way the place always looks tidy. I also like to keep things in big plastic storage bins. I keep the bins in my closet and under the bed. It’s a great way to store things and does not take up too much space. On a tangent, one of the bins that I have stores things for gift wrapping. I like to keep gift wrap that I receive and recycle them. That way I when I buy a present for someone I can put the extra resources into the gift instead of paying for expensive wrapping. Once in a while I’ll revisit the bins and decide whether I still want to hold on to the items. If I don’t see myself using the items in the future I decide to either sell or donate. Truth be told if I were to lose half my stuff, I don’t think that I would miss them. One of these days, I might share some pics of the system that I currently have going. Once you’ve de-cluttered and organized you will feel much lighter and things will be easier to maintain. I try to eat a diet consisting of 95% vegetables. I am slowly weaning myself off meat because of health, ethical and environmental reasons. When I buy anything that is packaged I make sure to read the ingredients. Reducing the sugar that I consume was the biggest challenge for me. Now that I am on a much more healthier path I feel better and lighter. Don’t get me wrong when I have cravings for junk food, meat or dairy products I will have the occasional treat. I don’t believe in deprivation. I think that most people who deprive themselves of food that they want to eat tend to fall back into their bad eating habits. 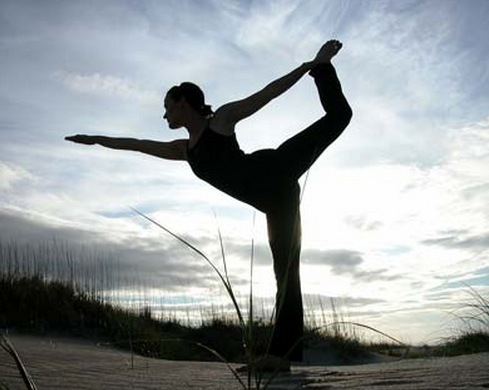 For me, it’s more about being conscious about what you put into your body. For example, if I am at the grocery store and I am craving ice cream, I will buy ice cream to satisfy the craving regardless if it is on sale or not. But I will not stock up on ice cream the next time it is on sale. Just because an item is on sale does not mean that I should buy it. If you don’t have it around the house then you can’t get to it. I am not a big fan of going to the gym but I make an effort to go at least once a week to fro cardio, stretching and lifting light weights. I’ve recently appointed my sister as my workout buddy. This way we motivate each other and get to spend quality time together. After each workout we make a healthy lunch and spend the afternoon watching movies and catching up. A great stress reliever! Pick a workout routine that you will enjoy and switch things around. Zumba is next on my list. Stay away from negative situations and people who like to create unnecessary drama. Always keep a positive mindset and if you get into a sticky situation remember to put yourself in their shoes to see their point of view. My aunt once told me that when making decisions think about how it will affect yourself and others in the long-run. Always remember that YOU are in charge of YOUR life and that at the end of the day YOU are in control.